Yeah I’d heard mixed things about his writing and how it wasn’t for everyone, but as I had had this book on my shelves for years I thought it was time to give it a go because I did like the premise. Unfortunately that didn’t work out and I think if I wasn’t listening to the audiobook I would’ve given up on it. This is such an interesting review, because I’ve had this book on my TBR and shelf for a year now but just haven’t picked it up yet. I’m curious to see if I’d feel the same as you because I really don’t like it when women’s bodies are sexualised or talked about it an unnecessarily creepy manner, but I do love slice-of-life stories set in Japan. Perhaps I’ll have to get to it soon and find out! 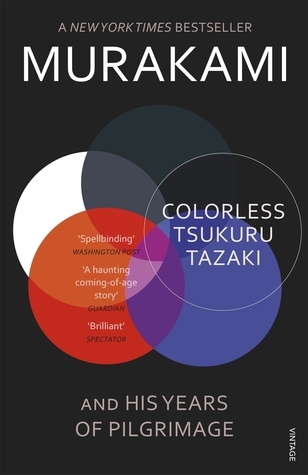 I’d definitely give it a go because I did find Tsukuru’s everyday life in Japan interesting – it’s just everything else was so unenjoyable for me that even those moments couldn’t get me to like the book.